1025.00 sqft. - 1680.00 sqft. Green World is a premium housing project launched by Akshar Land Developers at Airoli in Mumbai. The total project area is spread over 8.6 acres with 10 buildings comprising 832 units. 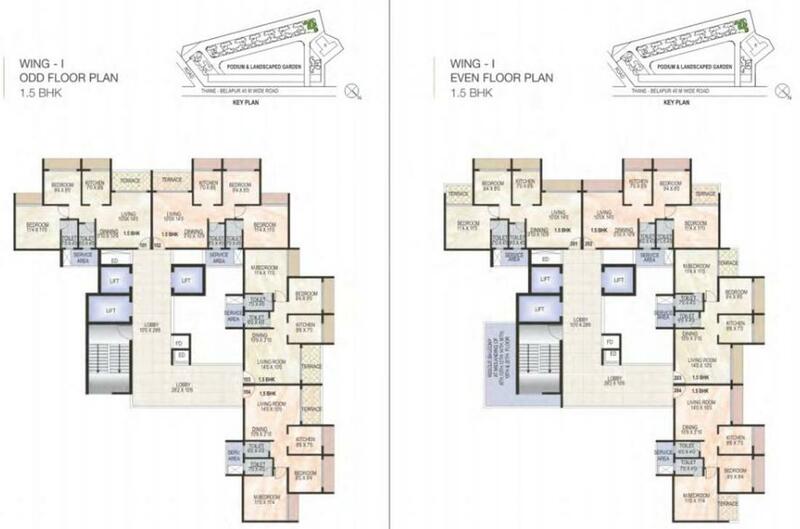 This residential project offers 1.5 BHK, 2 BHK, 2.5 BHK and 3 BHK apartments with the unit sizes ranging from 402 square foot to 781 square foot. 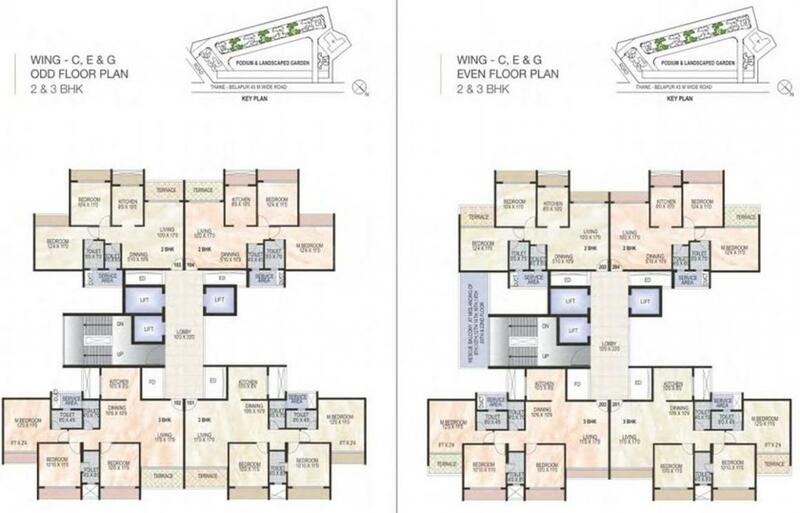 The various amenities include a swimming pool, library, multi-purpose hall, jogging track and yoga/meditation hall. Surrounded by many IT and business parks, Airoli offers a well-developed social infrastructure with ample educational institutes, shopping areas, hospitals and ATMs. The Mumbai International Airport is approximately 23 kilometres from Green World.Green World is a premium housing project launched by Akshar Land Developers at Airoli in Mumbai. 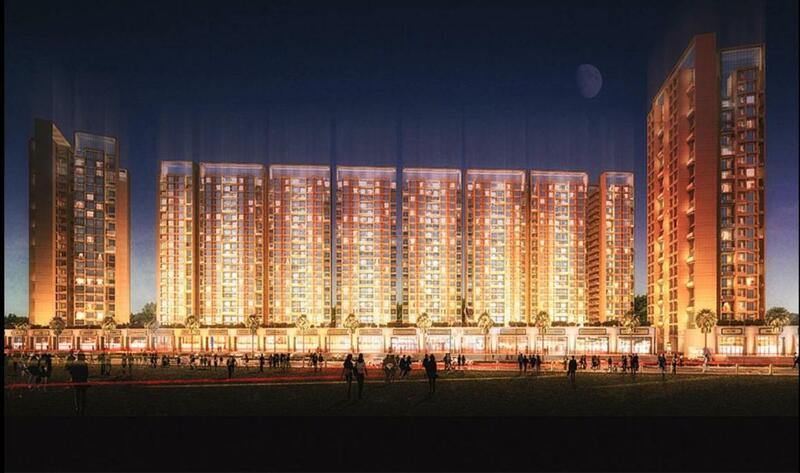 The total project area is spread over 8.6 acres with 10 buildings comprising 832 units. The Mumbai International Airport is approximately 23 kilometres from Green World. * Airoli Railway Station - 5 Minuts. * Estern Expressway - 10 Minuts. * Propossed International Airport - 30 Minuts. 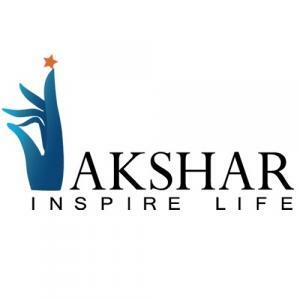 Akshar Land Developers is a trusted name in the Real Estate Industry that has successfully developed diverse residential, commercial and retail projects across the cities of Navi Mumbai, Pune and Ahmedabad. With more than 15 years of experience in tow, Akshar Land Developers' clear focus is on market trends and demands that help them to design the future for its clients that successfully reflect the company's core values. Akshar Land Developers is managed by highly experienced and qualified professionals who have successfully taken the company to new heights of recognition and acclaim. The new ventures of Akshar Land Developers include establishing the architectural excellence of the company in other prime locations of India and abroad.